WHEN: 24 - 25 - 26 October. That is on Thursday/Friday/Saturday. Sunday 27th is the "open house" in the new Blender HQ (no activity program). WHERE: Compagnie Theater Amsterdam. Right in the heart of 15th century Amsterdam, allows up to 600 visitors (250 more than previously). The venue has 3 stages. The large one (400 seats) will be for 25 minute talks (well prepared, headset, 3+ camera livestream). The small one (80 seats) is for discussions and panels (1 or 2 camera livestream). The mid size one (140 seats) is the stage for more informal presentations, Blender demos and slots for sponsors to present. There is also space for a market, with an option of people renting a table for presenting work. SUBMISSIONS: Call for presentations will be here end of May. Early August we finish the selection. Was: 25 - 26 - 27 October. Watch the videos: The full list on YouTube. 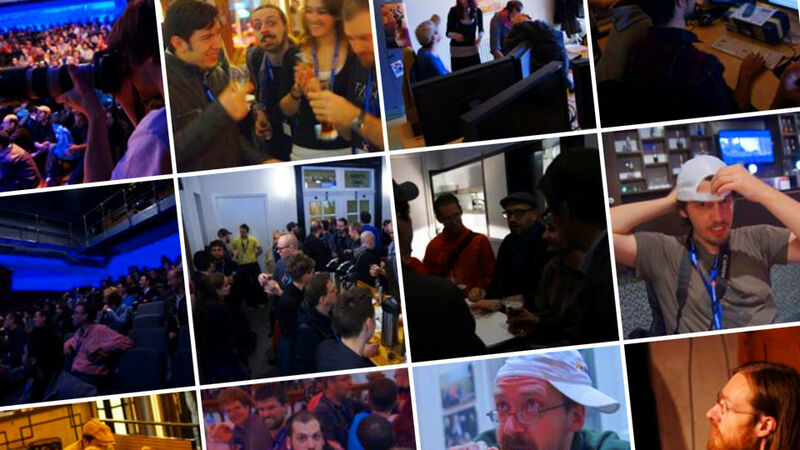 Blender Conferences are inclusive and welcoming events, cherishing the diversity of our community. Check out our Code of Conduct. Walk to the main exit hall, there's a railway station underneath. Take train to to Amsterdam Centraal Station (15-20 minutes). You can get tickets in vending machines or at desks. Get out at "Centrum", walk to De Balie is about 20 minutes. You can also take tram lines. Parking in Amsterdam is impossible or expensive! Best is to park outside the center; like in "ArenA Transferium". Cheap parking rates include metro/tram tickets. Avoid taxis! Especially those at the railway station will rip you off. Taxi ride from Airport to De Balie can easily cost you €45. If you really need a taxi in Amsterdam, ask the hotel to phone you one, or phone the Taxi Centrale Amsterdam: 020 7777777, they are reliable. 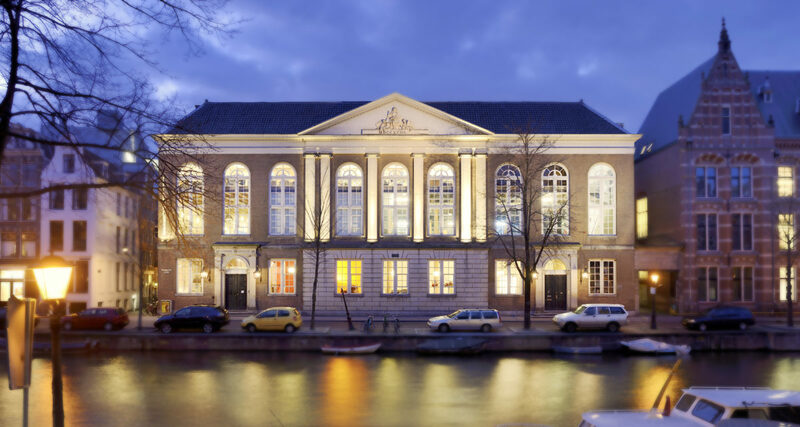 Hostels & Hotels: StayOkay Vondelpark is one of the most popular options since it's walking distance from the venue. A more affordable option is Camping Zeeburg Amsterdam, not very close but has a tram connection. You can find hotels via common sites such as booking.com easily. Unless you have a good budget (100 euro per night or more), it's advised to not choose a hotel within the canal area - and certainly not in the old city heart or close to the Railway Station. The cheap hostels there are known to be among the worst of Europe! Find a hotel outside the canal area, on bicycling distance or one that has a good tram connection to Leidseplein, where De Balie is. On 10-20 minutes tram/bicycle distance are usually decent and affordable hotels. Bicycle rentals are everywhere. 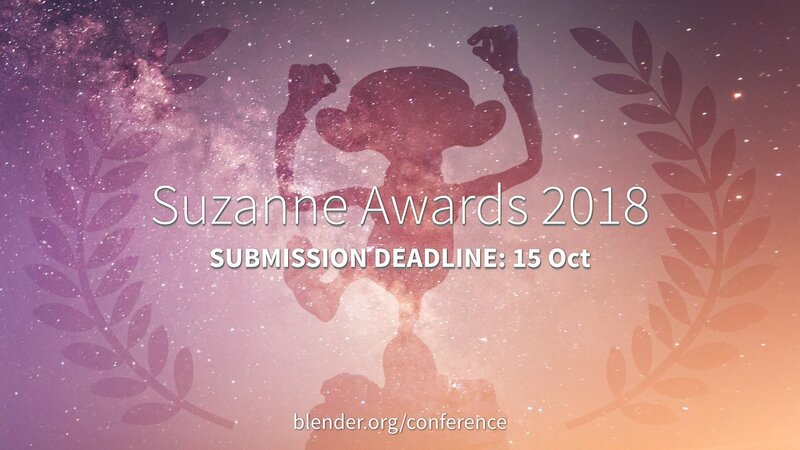 Blender Conference takes place at De Balie. A 19th-century courthouse in one of the most important squares in Amsterdam.